Most 5Ks and 10Ks are associated with a cause, most frequently a disease or other health concern and less frequently a human services charity. How deeply the race is steeped in information for their fundraising cause varies. At many a race, I’ve picked up my banana and bagel, stayed for the awards ceremony and left the venue only vaguely aware of the charity or cause. This was not the case at the Moving for Melanoma 5K. My purpose for seeking out this 5K in Wilmington was not to learn about Melanoma but to run a qualifying race to ensure my participation in the 2015 National Senior Games. I hoped to come away with a qualifying time, but didn’t expect an education. I received both. 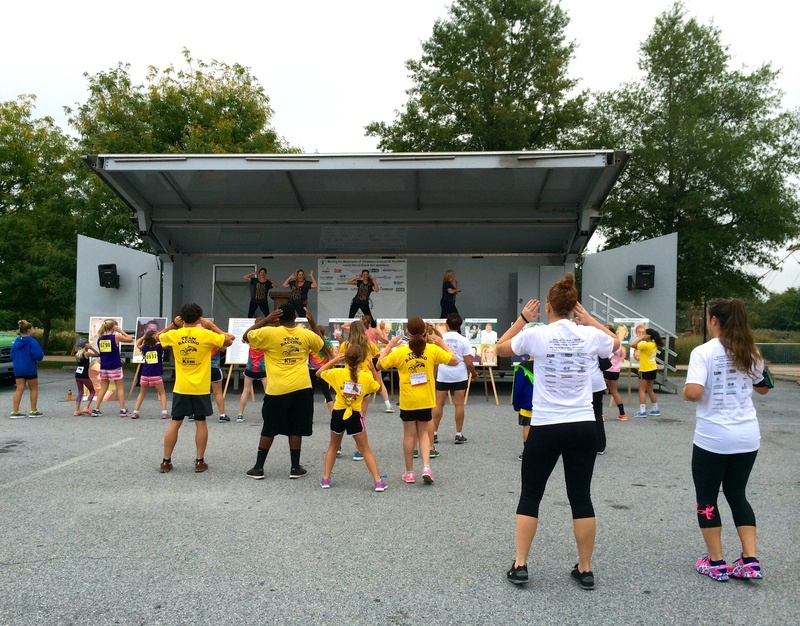 Moving for Melanoma of Delaware focuses on building awareness and prevention of Melanoma, raises funds for research and provides support to those affected in the community in Delaware, Maryland, New Jersey and Pennsylvania. I picked up my race packet and checked in with officials at the Delaware Senior Olympics table. On a slightly muggy morning, I ran a 26:12, well under the maximum qualifying time allowed for the F65-69 age group. Other runners were there to get a similar qualifying time and still others simply looking for a weekend 5K. With nearly 1,000 finishers, no doubt we were outnumbered by the multiple fundraising teams, some over 100 strong, running and walking for friends and family in treatment for Melanoma. Other teams participated in memory of a loved one lost. At the finish line and beyond the bananas and bagels were multiple tents and kiosks with information on Melanoma prevention and ongoing research on the disease. Post-race speakers made their running audience aware of activity that will make any of us more vulnerable to Melanoma. I also became aware that this disease can strike even when we take precautions. I got more than I came for. My love of running, hiking, walking, snowshoeing, gardening and generally enjoying the outdoors won’t change. 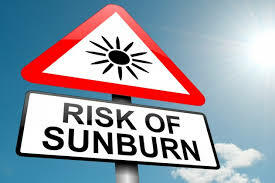 But I realize my habitual application of sunscreen alone while important is not a guarantee. This was a wake up call. The Moving for Melanoma 5K began my education process and its up to me to continue it with action. And, what action do you take to protect your skin and save your life? With a new year and new hopes, some familiar and some new races are in the mix. After a 2013 that started strong only to fall flat with a non-running injury, I look forward to a fresh start. Here is my enthusiastically penciled in list of potential races, big and small, old and new. 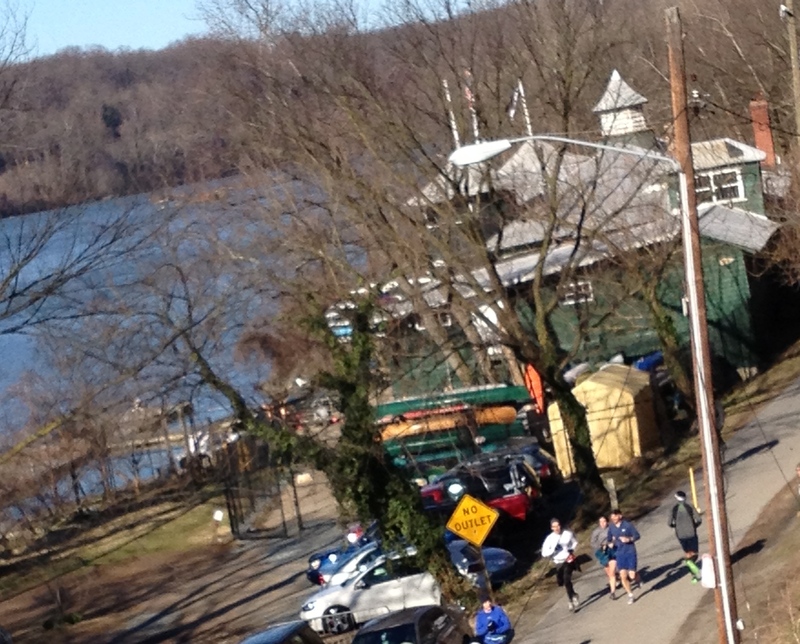 Georgetown 10-Miler – March 8 & 9 – I was signed up last year for this 10-miler held by the DC Running Club, but that darn skiing injury got in the way. Instead, I volunteered at the start/finish. This race sold out last year and has expanded to offer the 10-Miler as a two-day event. Capital 10-Miler – a run for the Arts – March 30th in Harrisburg PA. I will be directing rather than running this one, but I am having fun watching friends put together teams. We offer a flat course along the river, over bridges and out of traffic. 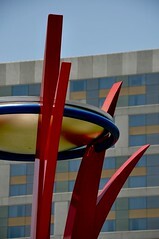 Participating arts organizations offer discounts and tickets to registrants and award winners. I’m happy to see my fellow running and food blogger at See Jain Run is coming in for the race. Boston Marathon – Again, injury made me a no-show in 2013. There is so much to be said about this race, I won’t try to tackle it here. With the injury, I wasn’t trained for a fresh qualifying marathon in 2013, but thankfully my time and the date of the Hamptons Marathon in 2012 tided me over. HARRC After Dark – Harrisburg PA 7K race at 7 p.m. 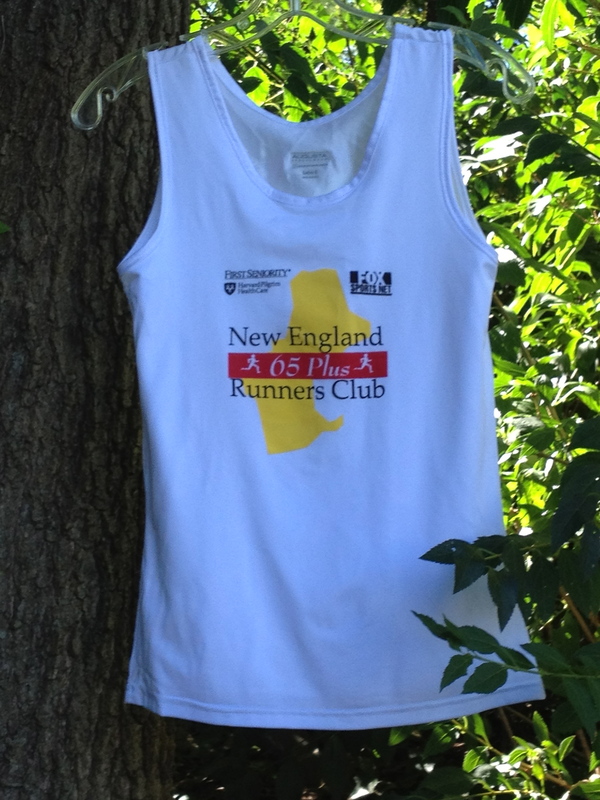 The Road Runners Club of America (RRCA) has sanctioned this race as the Pennsylvania State Championship 7K for 2014. This is a wonderful evening race along the Susquehanna Riverfront. Early enough to enjoy post-race festivities, grab a shower and go out for dinner. New York City Marathon – Sunday, November 2nd. I didn’t intentionally schedule two huge big city races in the same year, but circumstances sometimes dictate. I was registered with a qualifying time in 2012 when NY cancelled. NY offered a choice of registration for 2013 or 2014. It’s fortunate I chose 2014 since 2013 was a no-go for marathon training. Across the Bay 10K – Chesapeake Bay Bridge Run – I’m considering this, even though its a week after New York. The Bay Bridge is beautiful and the event’s director is none other than Boston Marathon Race Director Dave McGillivary. The race is almost sold out. Time to decide. What else? To meet my goal of running 66 miles on Route 66 in the 66th year, I must soon find the time and the right races or runs. I have another 41 miles to go to reach my goal and the clock is ticking. State Senior Games of 2014 I may or may not go to Minneapolis for the National Senior Games is 2015, but I plan to run a couple of qualifying races at the State Senior Games this year. If you are over 50, you’re qualified to participate in the State Games. Road races are one small component of the many athletic competitions they offer. Try it just for fun. If your state’s schedule doesn’t work for you, check out a neighboring state. In 2011, I qualified for the 2013 National Senior Games 5K at the Pennsylania State Games and qualified for the 10K at the Delaware event. That’s my roughed-out race plan for the year. Will I see any of my readers at these races? What’s your plan? 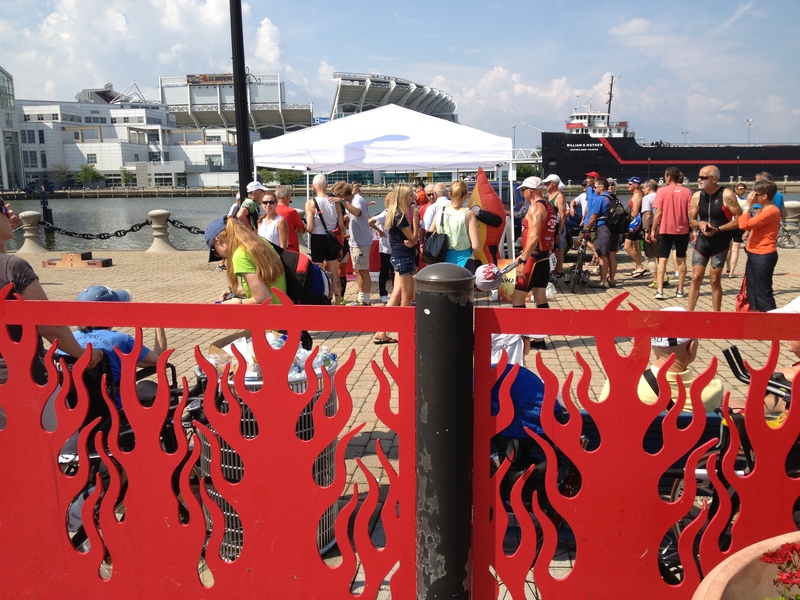 National Senior Games Triathlon finish area on Cleveland waterfront. At the National Senior Games in Cleveland, Ohio, I had Sunday off from competition. I took the opportunity to do a leisurely morning run and cheer on the Triathlon participants. After watching some incredible athletes, I walked from the finish chatting with another Games participant about events. Me: Are you competing today? She: I’m competing in Swimming. I used to compete in Cycling, but now I’m too old. Me: How old is too old? She: I’m 93. I may ride in the State Games next year, but I won’t compete on the bike at the Nationals again. My daughter tells me I’m too old. She also offered that her daughter has little room for criticism, as she is a 68-year old who continues to do several hundred mile bike rides. My new acquaintance and I said good-bye at the street corner where I walked on to my hotel and she crossed the street to catch the shuttle to hers. That refreshing conversation was typical of many I’ve had over the last few days. Opening ceremonies on a beautiful mall adjacent to the Convention Center included several fantastic bands, the arrival of a flame to begin the games and fireworks lighting the sky. Cleveland welcomed 11,000 lycra-clad and fit seniors ready for competition and, based on the general mood on the Mall, ready to have a good time. Those 11,000 athletes brought with them roughly 18,000 family members and friends. Some of those athletes are as young as 50, two athletes are over 100, and the rest of us are somewhere in between. The Convention Center in Cleveland is incredibly convenient and the Senior Games have done a beautiful job of staffing volunteers and providing a great venue with lots of informative and fun activities located at the Center. 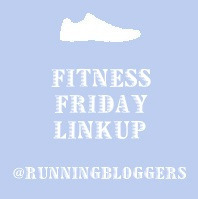 I’m competing in two running events and will write about those in a later post. 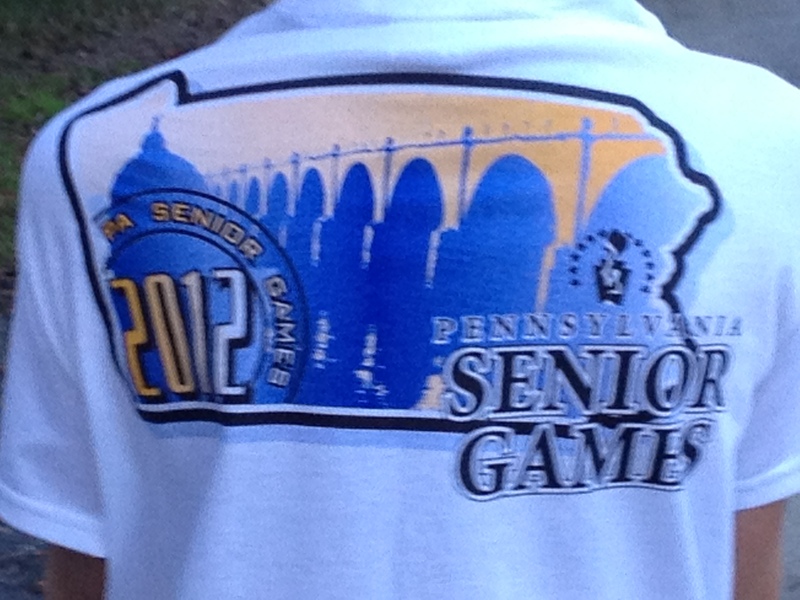 In the meantime, I’ll simply say I am sold on the National Senior Games and wondering why I waited this long to compete. This isn’t just track and field and road running. There are more than two dozen sports represented – basketball, softball, golf, volleyball, tennis – and some I’m not even familiar with. If this is of interest to you, start early. To compete in the National Senior Games, held in odd-numbered years, participants must first qualify the previous year at the state level. You can do this in your own state, or some states will allow out-of-staters do use their venue for qualification. 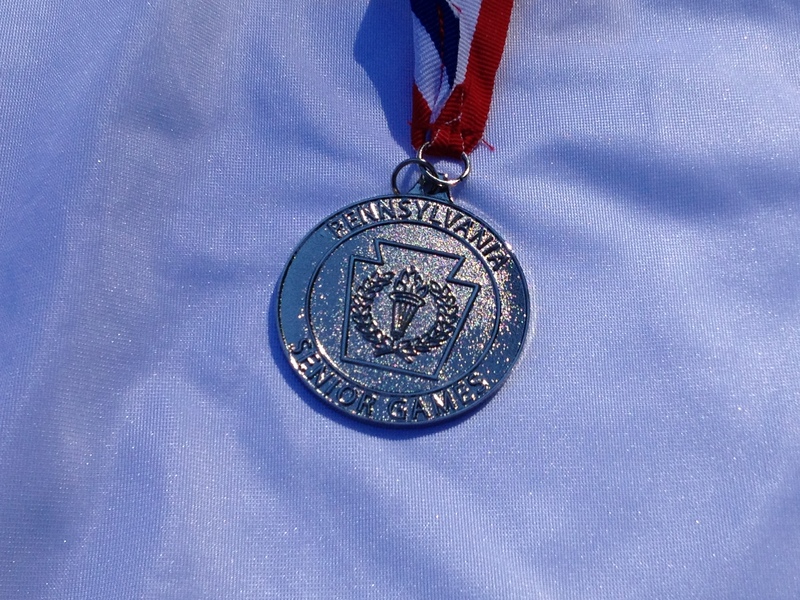 I did this, qualifying for the 5K through the Keystone Games in Pennsylvania in July or August of 2012 and qualifying for the 10K through the Delaware Seniors Games event in October 2012. And how old is too old? As long as there is another age group, we’re not too old. Will you be there? Who’s in? Enroute to a trail run on a recent Sunday morning, I heard the radio announcer open the program hour by saying “the hour glass turns.” As he spoke, my dashboard clock ticked from 6:59 to 7:00 a.m. The digits on the clock don’t turn back, so I’ve decided to move forward with gusto. From hours turning over to years turning over, sixty-five (65) is the big number for me this year. 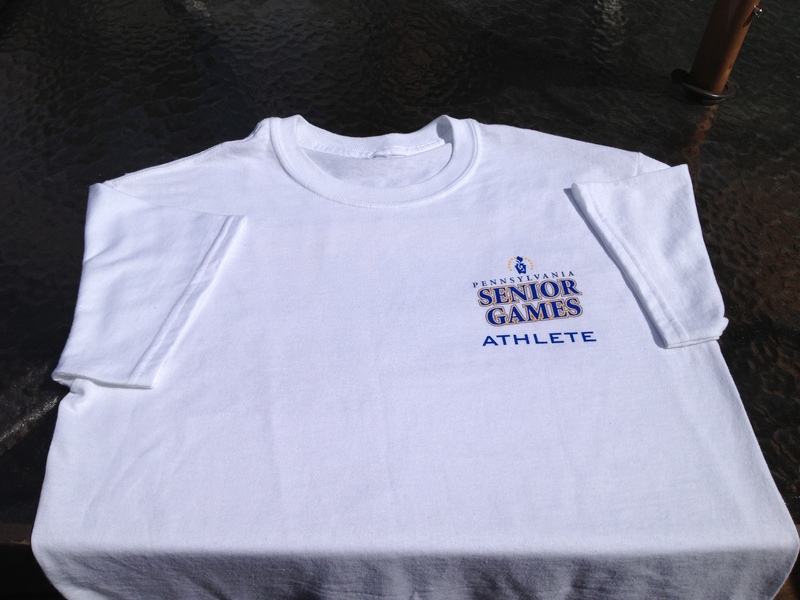 Another bold move of the summer was a decision to participate in the State Senior Games. O.K., it’s taken me 14 or 15 years of eligibility to marshall my courage, but it seemed important to jump (or run) in this year. After registering for the 5,000 meter and the 10,000 meter events, dates and track location were announced. The 10,000 would take place at 7:30 a,m., the day after my already scheduled late night flight. Weather delays make my arrival even later – it’s 4 a.m. as I turn the key to my front door. I make the decision, wimp or wise woman depending on your point of view, to be a no-show for my first event. After some catch-up sleep, I prepare myself for the new experience of basically running a 5K on a track. The 5,000 is scheduled for 5 p.m. I line up with a mixed age group and race in 92 degree heat. Here I am running on a standard track for the first time since fourth grade (12+ laps), certainly different from my road and trail running and racing. I may not be at the front of the pack on road or trail, but I also don’t experience getting lapped (well, there was that one time – a tale for another post) or find myself lapping other runners. The result was not one of my better times (did I mention it was 92 degrees? ), but well worthwhile to have the opportunity of running with a larger number of women in my age group than I generally see at local race. Just like London (well, almost). 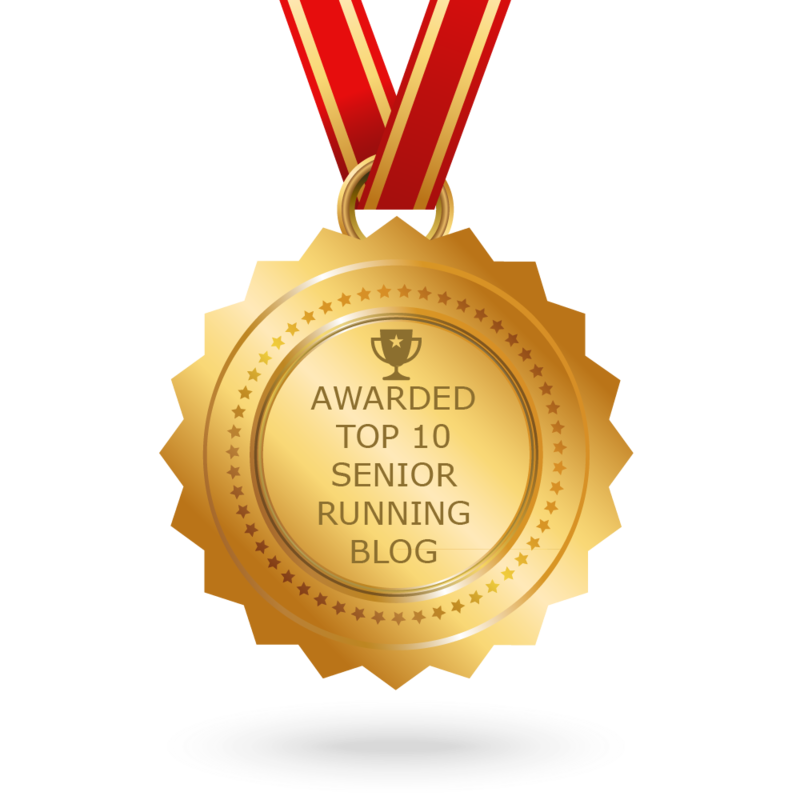 Although I don’t have the official results, my Garmin says I did well enough to be eligible for the 2013 National Senior Games . Cleveland 2013, here I (maybe) come! So, I’m running in Senior Games, in senior singlets and senior age groups. I’m also running with my friends in their 20’s, 30’s, 40’s & 50’s. In future years, should my driver’s license be removed from my clutched hand, my younger running friends have given their assurance that I will have a ride to our weekend training runs. Let my aging flag fly. I’m an athlete. My shirt says so. Of the many passions in my life, running burns brighter with each year. I’m still finding new challenges and I’m still running. Are you still running and what new challenges have you found?